This text develops the theme of embedded system design, considering the compatibility aspects of sensors and devices and systems that compose them. 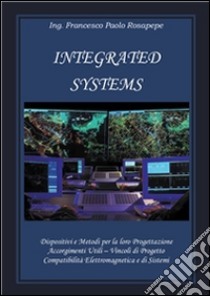 Lists the various types of sensors that are most commonly used to build them, and also the basic structural elements to assemble, build and integrate the various devices and obtain the final integrated system. Still some tricks on how to correctly assemble these elements so as not to create incompatibilities or operating position and thus significantly alter their performance. A section on electromagnetic compatibility, not negligible, and that point is crucial for the proper functioning of any integrated system. Finally, a useful methodology for the identification and schematic of the design constraints and risks related to its development and implementation.